Genesis Alpha One Launches Today | Nerd Much? Developed by Radiation Blue, Genesis Alpha One looks like it’s here to steal No Man’s Sky’s lunch. Thrust into the role of a interstellar pioneer, you’re tasked with venturing into uncharted space in the hopes of finding a new home for all of humanity. Along the way, you’ll experience roguelike shooter mechanics during battle. And you’ll continually be upgrading and protecting your space vessel which is almost a game unto itself. As you progress through the Genesis Alpha’s procedurally generated universe, you’ll also be heading down to various planets into order to farm resources and discover ancient technologies for humanities use. You’ll have to clone members of your crew as your vessel demands an increase in workforce. And hopefully they’ll assist you when your ship is eventually plagued by an alien infestation. But if you think you’re more than capable of fending them off yourself, you can order your crew to flee towards safety instead. Unlike No Man’s Sky and the soon to be released Astroneer, Genesis Alpha is a single player only adventure. You won’t have online backup for this space outing. Genesis Alpha One is one of the titles that has been swayed over to the Epic Games store. It’s available for PC players there at a price point of $29.99. The game’s publisher, Team 17, states they expect the title to hit Steam in January of 2020. Which makes it sound as though Epic Games negotiated a 1 year exclusivity deal for PC. 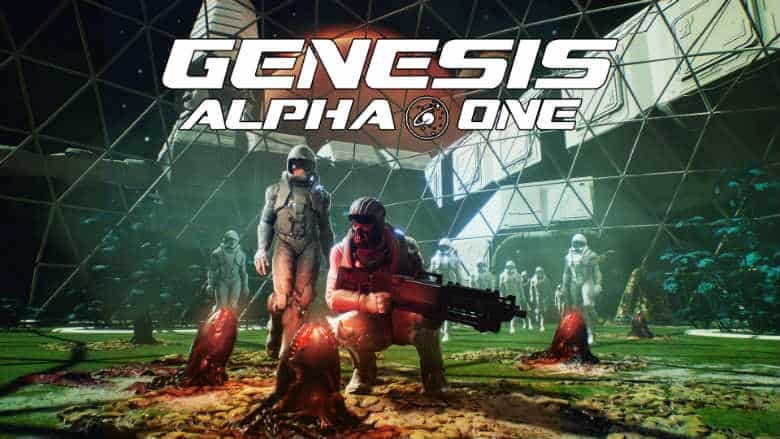 The Xbox One and PlayStation 4 versions of Genesis Alpha One launch today as well. You can find the title on the platforms’ respective stores for $29.99 as well. With reviews currently emerging, the game is thus far sitting at solid 83 for its PC version. However, the console edition is lagging behind with a Metascore of 68. So if both PC and console are an option for you, the former might be the better route.